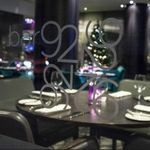 Bar 92 is a chic and tranquil venue in which to enjoy early evening drinks or a pre-theatre meal. Do you work at Bar 92? What did you think of Bar 92?